I write for both an element of the Weyl group and the corresponding point in . Let be a Schubert variety. Then is an inclusion of representations. The latter is generated by the -weight space, where is the highest root. Suppose , where is the reflection corresponding to . Then the connecting and lies in (think of the corresponding SL2), so the -weight space lies in . Since this generates , we have . Therefore if , then is singular. This includes some of the first examples of singular Schubert varieties, for example the B2 singular Schubert variety and one of the A3 ones. 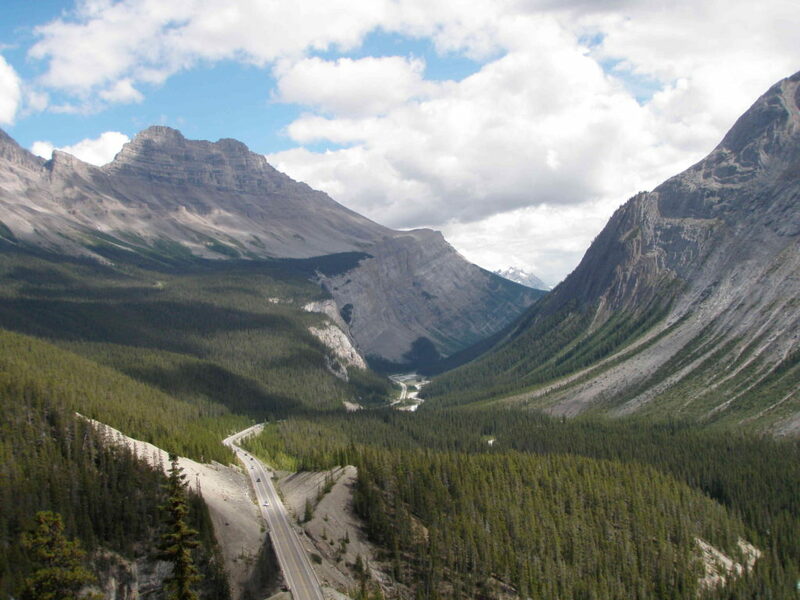 I was fortunate to recently spend a week at the Banff International Research Station, for a conference on Whittaker Functions: Number Theory, Geometry and Physics. Rather than talk about the mathematics, I will concentrate on the facilities in this post. BIRS has been successfully running many maths workshops for many years now and are in high demand as they consistently do a good job overall. Banff is a tourist town in the picturesque Canadian Rocky mountains. The standard way to get there is via Calgary airport, catching the Banff airporter bus (one-way 2 hours, CAD54 with BIRS discount applied). BIRS itself is part of the larger Banff Centre, which is mainly an arts venue situated on a hill with elevated views over the town. Participants are all accommodated onsite in clean and comfortable single rooms sharing a bathroom with one other participant. There were some participants complaining about the temperature but I found no problems. The meals are also onsite in a buffet arrangement, and generally of a good quality (and hence tempting to pig out on the dessert). Internet access exists and works. I didn’t subject this to any serious stress tests. Here is a picture of Manish Patnaik giving his talk. You can see the tiered seating (good) and the lack of blackboard space (bad). There was space from an architectural point of view to put in blackboards that can be moved up and down, so for a dedicated conference centre this is especially disappointing. All talks were recorded by an automated system (it is possible that not all were remembered to be recorded, as this process required manually pressing a button at the start of each talk). Unfortunately some people continue to turn down lights during slide talks, despite the slides being perfectly visible under normal lighting conditions. This is annoying because it strains the eyes to make notes, and makes it harder to work on other things when (some) speakers inevitably power through their slides at too rapid a pace. There are also other small private discussion rooms equipped with whiteboards for participants’ use. Stephen D. Miller was originally scheduled to attend and give a talk, but got screwed over by an airline and ended up deciding not to come. He then recorded a talk which we watched (and you can too (mp4)) and skyped in at the end of the viewing to answer questions. This worked surprisingly well, which I suspect is more a function of the speaker being Stephen as opposed to the format. I overheard some other participants remark that they were still disappointed that Stephen didn’t come as they were hoping to discuss informally with him. Experienced conference-goers will naturally and immediately recognise this sentiment, knowing that the informal discussions that take place at a conference can be even more important than the formal program. It is a little known fact that it is possible to spend a couple of additional days at BIRS afterwards. A few of us availed ourselves of this welcome opportunity. I did not give a talk at this conference. 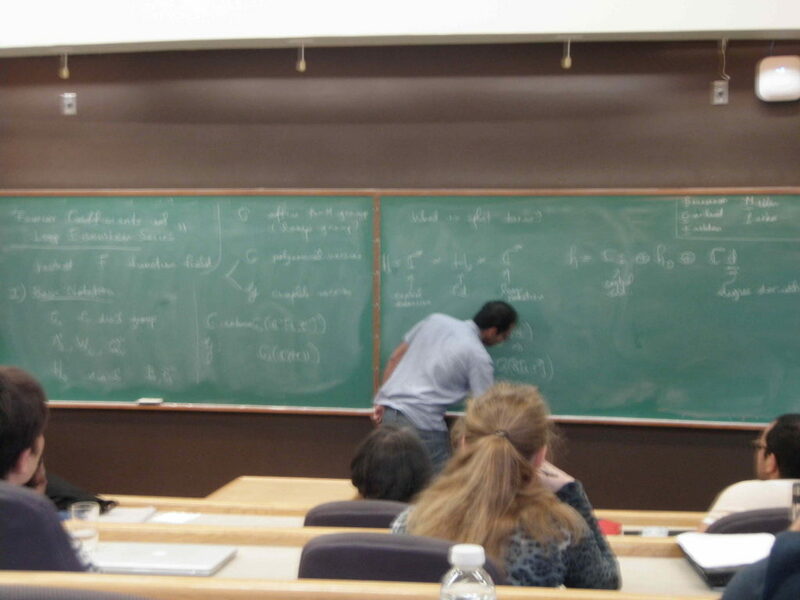 I did however give a talk on my recent work on geometric extension algebras at the University of Alberta the following week.